Jim was born Oct. 14, 1931, to Charles and Mary (Stroh) Petrie. Jim was the youngest of their 12 children. Charles and Mary started the homestead north of Olney Springs in 1914. Jim married Marlene (Molly) Sauer Oct. 10, 1958. Jim started out working for Phay Paul, driving a truck, farming and ranching. He then started his own farm and ranch. He supplemented that by working 10 years as a chemist at the sugar factory in Rocky Ford during the sugar beet campaigns. 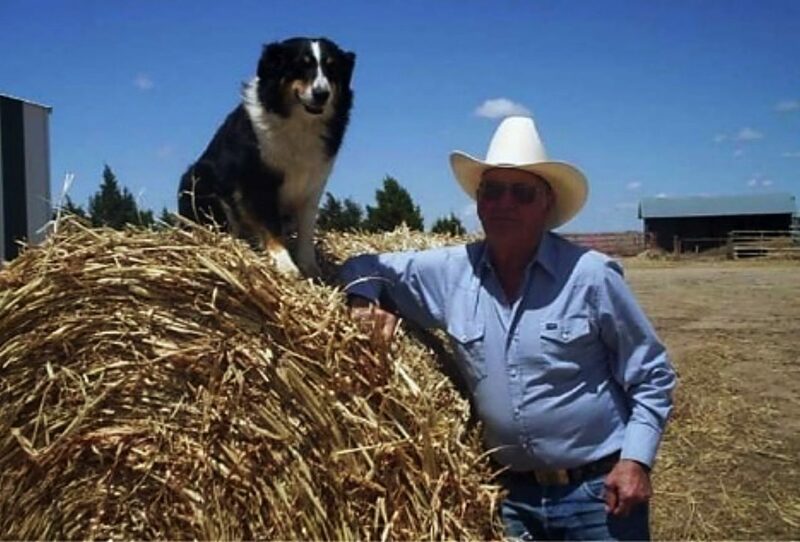 Jim enjoyed good horses, good cattle and good dogs, going on wheat harvest and helping neighbors. Jim was very talented. There wasn't much he couldn't do. He only completed an eighth-grade education, but he had an amazing mind. He could do math faster than a calculator and remember every phone number ever needed. Jim had a kind heart and was generous to friends, family, and anyone in need. Children, whether family or just visitors, were always given a treat and a pocketful of change. He especially loved spoiling the family pets. About his wife Molly, Jim recently said, "She was all I ever wanted, and more. She was the best woman to ever walk the face of the Earth, and the best cook." Even though he was legally blind, Jim took loving care of Molly as she suffered with dementia. Jim's granddaughter, Michelle Petrie Seaton, has written and recorded two songs about Jim. You can listen to the songs by going to http://www.soundcloud.com and searching Michelle Petrie. Jim was survived by his wife, Marlene (Molly) Petrie; a sister, Mildred (Midge) Mang of Durango, Colo.; a son, Randy Petrie (Yvonne) of North of Fowler, Colo.; a granddaughter, Michelle Seaton (Jake) of Idaho Springs, Colo.; a grandson, Bret Petrie (Kallie) of Windsor, Colo.; great-grandchildren, Ryder Petrie and River Seaton. He was preceded in death by his parents and 10 brothers and sisters. There will be no visitation or viewing at his request. His ashes are to be scattered on his ranch, at his request. Online condolences can be shared at http://www.montgomerysteward.com.